A device built from readily available components can image multiple brain areas during a decision-making task. Calcium imaging provides neuroscientists with the important opportunity to observe the activity of a population of neurons all at the same time. The size of this population, however, depends on the imaging technology. Widefield imaging allows for some of the largest views; it can cover a full brain area or even multiple brain regions simultaneously. Unfortunately, these benefits come with a constraint: The bulky imaging equipment means animals must be restrained as widefield imaging is performed. 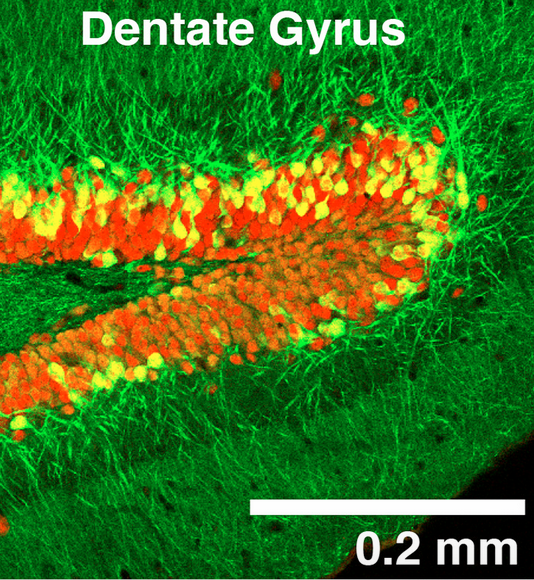 In a recent paper in Neuron, however, investigators Benjamin Scott and Stephan Thiberge, along with a team of researchers from Princeton University and Janelia Research Campus, demonstrated how to overcome this constraint in rats. Their device — dubbed the ‘cScope’ — is built from several components that are readily available to the research community. The design includes an illumination system for intrinsic imaging of hemodynamics, another for fluorescence imaging, an imaging sensor system, and a 3-D printed structure to hold these components together. The setup builds on the existing Miniscope project, a head-mounted microscope design and software environment for widefield imaging in mice. Once assembled, the cScope weighs less than 35 grams — light enough to be head-mounted on a freely behaving rat. With this head-mounted setup, animals can engage in more naturalistic movement and behaviors. The researchers showed the benefit of this arrangement using a transgenic rat line they’ve developed that expresses the calcium indicator GcAMP6f in the neocortex, hippocampus and cerebellum. They trained these transgenic animals to perform a decision-making task, which requires that the animals orient to a left or right port based on the number of light flashes that appear on either side. Using the 8- by 4-millimeter imaging window in the cScope, the team was able to record activity from the primary visual cortex, secondary visual cortex, parietal association cortex, somatosensory cortex, motor cortex and retrosplenial cortex simultaneously. The concurrent hemodynamic imaging also provided the information needed to remove artifacts in the calcium imaging induced by blood-flow changes. 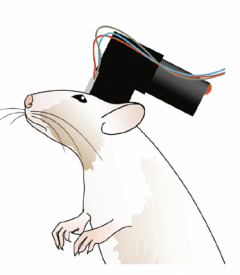 With this technique, the researchers witnessed the rats’ visual responses to the flashing lights in the visual cortex, the dynamics of information integration across parietal regions, and motor cortical activity during the response time.